Medicare part B covers a variety of outpatient services, doctor visits, supplies, and other costs. Understanding the types of things covered by the different parts of Medicare can help save you money. 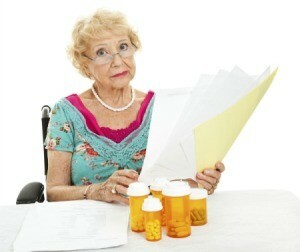 This is a guide about Medicare Part B coverage advice. I am still working at 67 and covered by BCBS (Blue Cross Blue Shield) 80/20. I recently was required to have a lumpectomy; so I am getting some extraordinary bills with lots more to come due to radiation treatments. 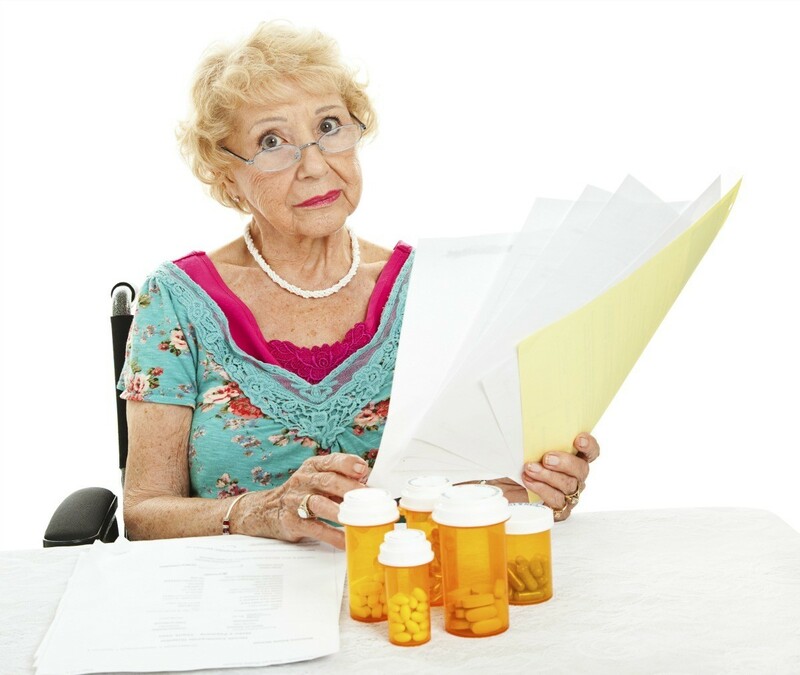 If I quickly get Medicare B as my secondary, will they pick up the slack? I surely could use the help. I'm not sure on this, but I would think in order for Part B to pick up the slack, you would have to be on it before hand. Everybody that I know is on A and B plus having supplemental insurance besides. I would call social security and ask. Medicaid will go back 3 months if you have financial problems so maybe medicare has a similar provision. Just call them and ask. You need to check with SS or Medicare as there are rules about "first time users" and effective dates. I do not believe they will go back but should cover everything after it is effective. You may have been better off to have enrolled as soon as you were elligible as you may pay more per month now. Be sure you compare all supplements closely as there are differences in Medicare Part B and all the other plans. Most other plans do not have good coverage for re-hab care and you never know when that will be necessary. You can change later but only once a year time frame. Good luck and I would not put it off too long. I have Blue Cross Federal Employee (retired; live in Louisiana). Blue Cross would be your secondary; Medicare primary... that's what I was told when I turned 65. The Blue Cross people told me that my premium would not go down even when I have Medicare as primary. This actually doesn't apply to your question but thought it would be good to know. According to my last call to Medicare, and visit to the SS office, Medicare Part B DOES process secondary claims when you are a holder of Part A and you are working full time and covered by a group insurance plan. (Earlier call to Social Security apparently gave me the wrong information.) What's more, it can become active the first day of the month you submit your request. As a former customer service rep for BCBS IL, let me try to explain how this will work. BCBS will be your primary until such time as you are no longer working, once you retire then medicare will be your primary. Both your BCBS plan & medicare Part B are 80/20 plans, both plans have a non duplication of benefits clause. What that means is that when the 2nd insurance processes the claim, they will process as if they are the only insurance involved. Once they determine how much they would normally pay on the claim they then take a look at how much the primary paid. If what the primary (BCBS) has pd is greater than what the 2nd (Part B) would pay if only insurance involved then no payment will be made. If the payment from primary is less than what the 2nd would normally pay then the 2nd will pay the difference between the two. At this point in time it would seem like you would be spending money unnecessarily for Part B. I would suggest you call the customer service number on the back of the card for BCBS & verify with them what your out of pocket maximum is. Once that max is met then your BCBS policy will start to pay 100%. I am sure you are aware that by using innetwork providers you are getting the better discounts than non network providers. As far as having to pay more for Part B because you did not take it as soon as you were eligible, this will not apply to you as you were still working & covered by a group policy. Same for medicare Part D for the drugs. You better get medicare part B. Most primary ins. require it to provide their portion of the coverage. if you do not get it your BCBS may(WILL) decline paying their portion of the bill. I'm sorry for sounding so forceful BUT I know someone who was forced to pay entire surgurical bill due to neglecting to take Med Part B.
I'm still working, on my company plan. I turn 65 in September. I'm told I need to apply for Medicare in July. I know nothing about all this, basically. What do I need to do? I keep getting all this junk mail from supplement companies. My impression is that I really don't need to purchase a supplement until I actually retire. If you still have questions I would be happy to answer all that I can. Question: Is Medicare Part B Worth the Cost? I am 55. Two and 1/2 years ago, I became permanently disabled. This meant that I lost all medical insurance, and didn't qualify for Medicare until later this year. My question is about Part B. For my budget, it is extremely expensive, and I don't know how I can cut back more. For those of you who have it, is Part B worth the cost? I will explain my circumstances a bit more: when I lost my medical insurance, I was very blessed to find a medical clinic that gives excellent care. I pay a very low fee to see my nurse practitioner (who I love!) and get routine tests, and x-rays for free. When I ended up in the hospital for a few days, I got rated at the county, teaching hospital, and get hospital care and non-routine tests almost free. The clinic I go to helped me apply to drug companies, and I get some of my medications for free. Like I said, I am blessed! My interest in Part B would be to see that the clinic I go to gets paid more than I can pay, for home health services, for durable medical equipment, and because I am told they will pay for glucose test strips and meters, an expense that is very difficult for me to pay. If you have Part B and could enlighten me a little, I would really appreciate it. I want to make it clear that I am not complaining about my situation. It could be a whole lot worse, as I well know, and I have had many, many blessings. I have nothing to complain about, just a lot of questions. Thank you. You are lucky that being you have medicare that you can still get help with medical assistance from local sources. When I was old enough to get medicare the free clinic told me I would have to quit going there, Which at that clinic a patient saw third year residents that rotated every three months. There was also a supervising physician and 2-3 nurses. Where I live there is no free hospital care available. If you are low enough income you should be able to get help from your state to pay the deductable, etc. on your medicare part B. Anyway that is the way it is in SD, there are two forms of medicaid for this issue. One form just pays your deductable, etc. The other pays for medical, dental and eyes. I would check into that. I forgot when you get to where you qualify for medicare part D, the pharmeceutical companies will probably tell you that even if you don't apply for part D, they will drop you from the free program. This happened to me when part D went into effect, now instead of getting my meds completely free, I have to make a co-pay, which comes to about $10.00 a month, so far. My husband is on disability and I work as much as I can, but with three kids money is tight. We applied through the county job and family services for benefits, and we qualified for the state of Ohio to pay for Medicare Part B for us. It would be worth looking into. When my husband goes the hospital, Medicare pays and then we get billed 80% for which I apply for assistance and we end up owing nothing. Copasetic, I am being transfered from Medicaid to Medicare as of September 1st so you and I must have become disabled right around the same time. From what I understand if you receive SS disability you will receive part B. There are also programs for discounted part D. I am 57 and currently asking oodles of questions about Medicare from others who are disabled and via my local SS office before going on to Medicare (so as not to have any unexpected surprises) and have received quite a bit of info so far but still more questions to ask. Am going to send you a personal message with my email address and phone number. Everything will definitely change once you're on Medicare so maybe we can help one another get through the switch over sharing information. My husband and I are both disabled and we pay for Part B. We get billed for the remainder 20% of the bill but there is a plan that all hospitals are required to offer (even though they don't) called Hcap. Some places call it Human Arc. You provide your income and other information to them and they tell you what you are qualified for. If you refuse to sign up for Plan B, it gets more expensive when you change your mind later. A lot more expensive. It's wonderful that you have a nurse that takes good care of you and you get your meds free but all pharmaceutical companies are required to have a patient assistance program for those in need or for those "in the donut hole" of your Part D pharmacy company. Heaven forbid you get some catastrophic illness that required a doctor and long term treatment from a specialist and you didn't have Part B. I wish you well. You should be able to get help paying it from your state...contact Social Security they will be able to answer all of your questions. God bless! Does my coverage thru the Federal Government allow me to delay Medicare Part B so that I can also use TriCare? I'm reading that my coverage with the Blues will allow me to delay enrolling in Part B, but it is unclear if this means I can still use TriCare. The online says that I must have Part B coverage to retain TriCare. I'll still continue to keep my coverage by BC/BS. My husband works at a DOD-funded research lab (private university) so his benefits are great. At retirement his benefits will include lifetime health care coverage for a nominal annual premium. I'm 57 and already retired due to a permanent disability, and receive SSDI. As my need for durable medical equipment (DME) increases - more mobility aids, a scooter now, motorized wheelchair in the future - am I better off switching to Medicare Part B before age 62?